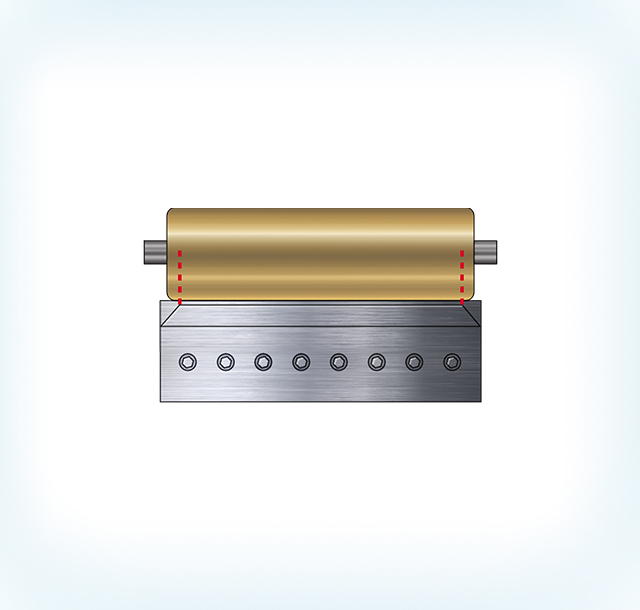 Cut counter/support blade at an angle at each end, to reduce doctor blade force and blade wear at cylinder ends. Upper cut point (red line) in counter/support blade must stop min 10mm from cylinder ends, at full oscillation on each side, i.e. cut point always stay on cylinder surface area, or else effect is lost.